Property Details: Three Bedroom, Three+ Bathroom Beachfront Condo, approximately 2,300 s.f. 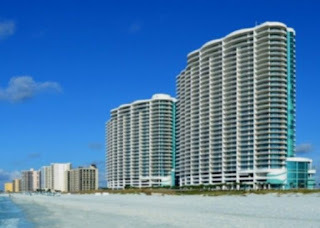 Amazing and wonderfully furnished beachfront Turquoise Place condominium home in Orange Beach - this luxury residence has never been rented and is located in a world-class destination resort featuring indoor heated pool, outdoor pools, lazy river, gulf-front, exercise facility, sauna, steam-room, and more. This gulf coast property has three bedroom, three & one-half baths featuring a fireplace in living room, stainless steel kitchen appliances, gas cook-top with vent hood, wet bar, solid-surface counter-tops and much more! 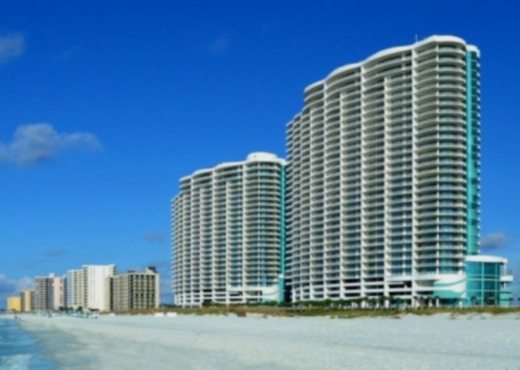 Turquoise Place condominiums in Orange Beach Alabama have 400 residences in located in two buildings on the Alabama Gulf Coast; the community overlooks the turquoise waters of the Gulf of Mexico.